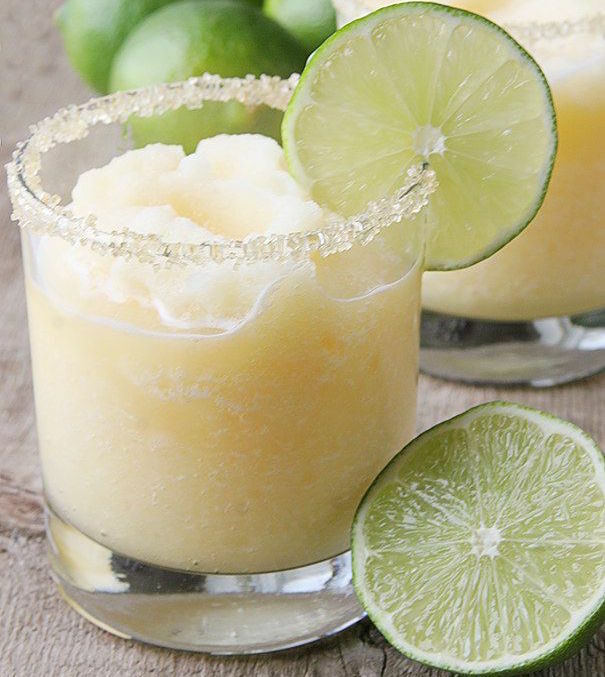 what you do: Puree, ice, tequila, lime juice, and simple syrup in a blender until smooth. Pour salt onto a saucer, and moisten the rims of 4 glasses with lime wedge. Dip each glass into salt, and fill with margaritas. Serve with lime wedges.